The Montana METALLIC Effect range has been celebrated since it's release. 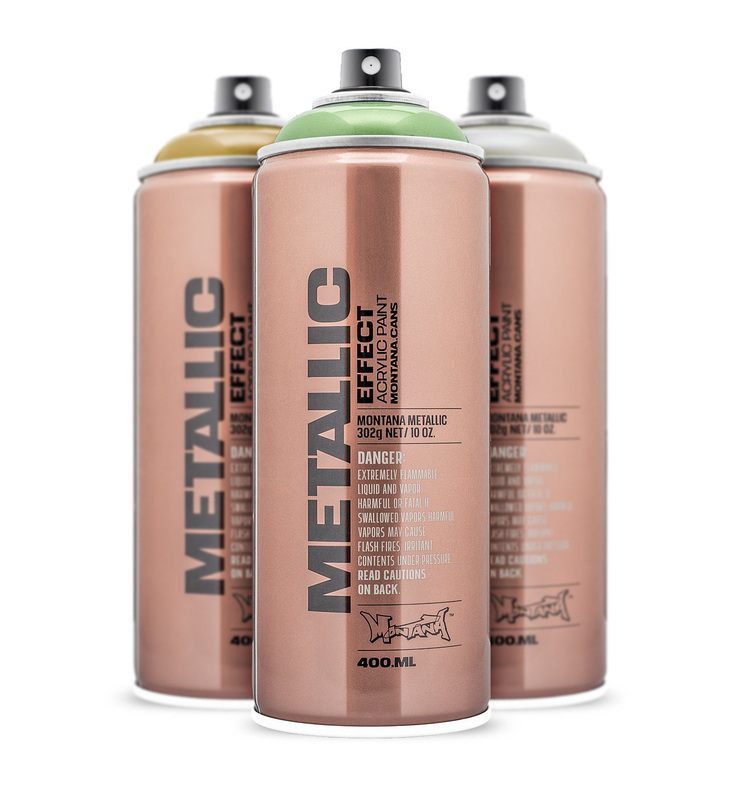 Originating from many years of experience in the production of auto paints, METALLIC Effect spray colors are high covering and abrasion proof making them a valuable tool for any creator. Contemporary artists, DIY'ers, crafters, hobbiests and anyone that needs a functional METALLIC Effect color that is hard wearing and maintainable, welcomed the range with open arms. We are excited to announce the release of 3 new dynamic colors. Welcome to the METALLIC Effect spray family; EMC1010 Metallic Titanium, EMC1030 Metallic Aztec Gold and EMC6040 Metallic Avocado Green. 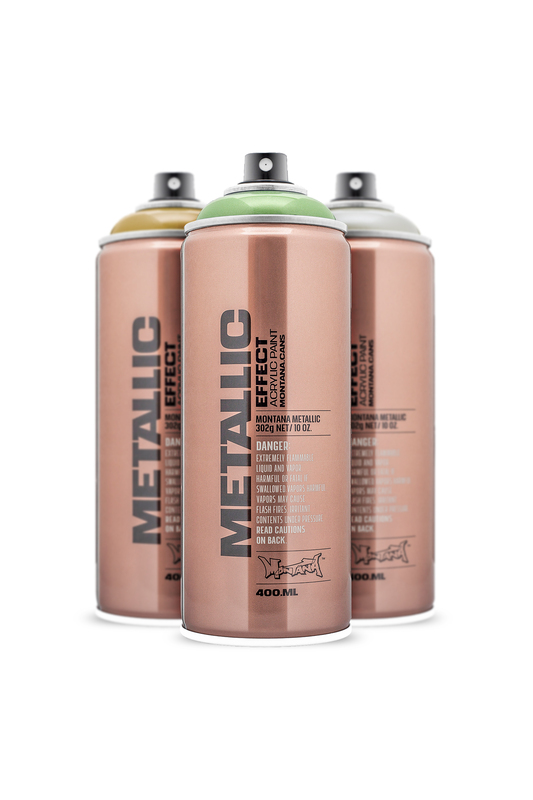 Rounding off the existing color selection, there are now 15 METALLIC Effect spray colors available. The closed surface paint offers a sturdy finish that can be used in endless contexts. 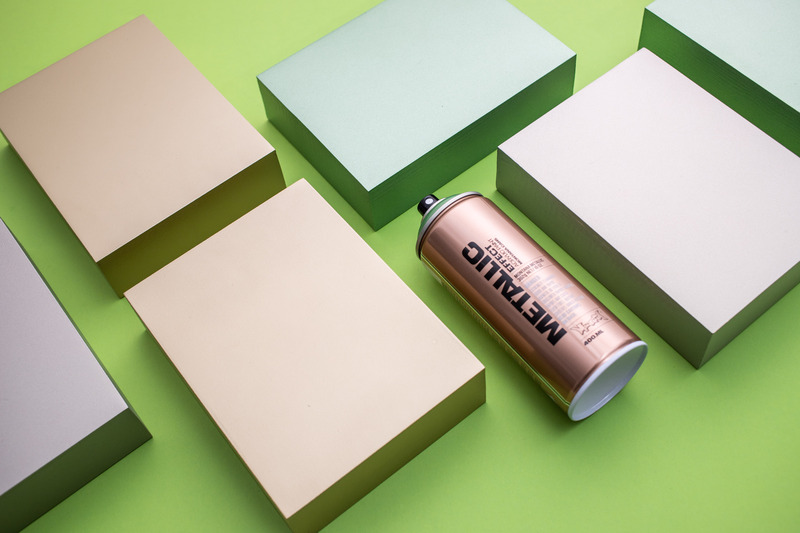 Whether your painting a bike, decorating home ornaments or creating metallic details on fine art, the METALLIC Effect range is the ideal metallic coating for aesthetics, longevity and durability. Get images from MontanaCans Cloud here.